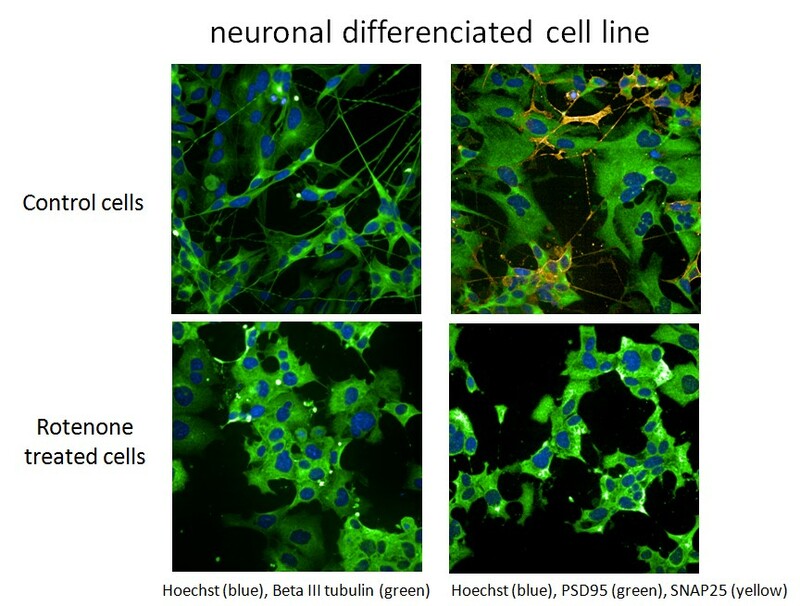 High content screening (HCS) should allow finding new pathways involved in the onset of PD by screening molecules based on phenotypes related to cell death. 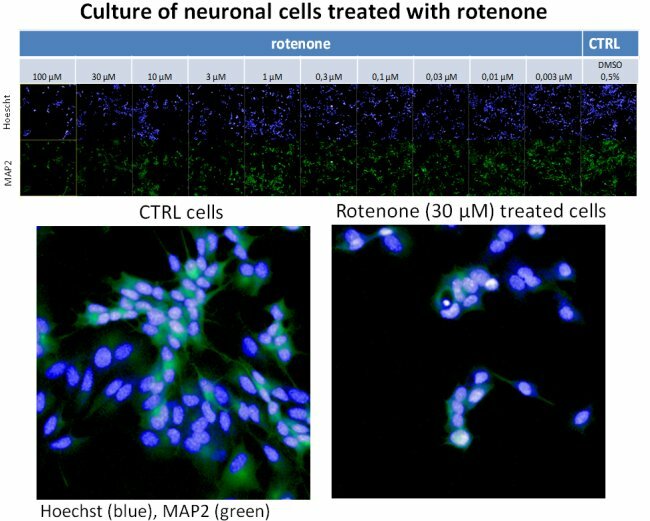 Rotenone, a chemical compound commonly used as a pesticide, is well-documented as a cell death inducer of dopaminergic neurons in the substantia nigra and allows mimicking PD in vitro and in vivo. HCS Pharma is working to develop new, more complex and relevant in vitro cellular models that mimic the pathology as closely as possible. 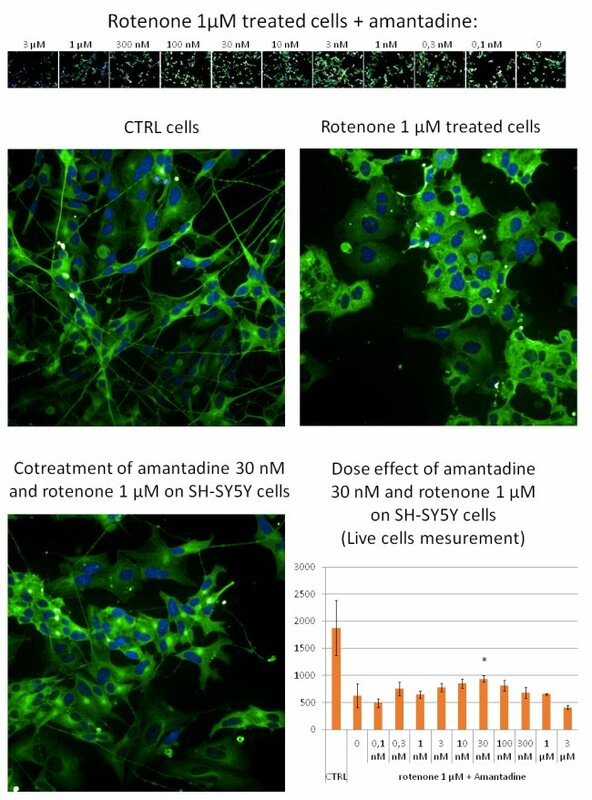 In this example, diferenciated SH-SY5Y were treated with a dose effect of rotenone. After 48h of incubation, cells were fixed and stained with Hoechst and MAP2. If you want to know more about this assay, don’t hesitate to contact us !